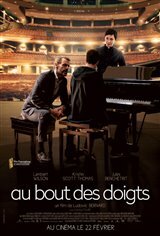 Mathieu Malinski, a teenage delinquent from a poor suburb, hides his prodigious gifts as a pianist from his friends. However, he can’t help but play on the pianos located in the public halls of Paris train stations. During one of these performances, Pierre Geitner, director of the National Conservatory of Music, notices the young pianist. Thanks to the latter, Mathieu, who has been convicted on burglary chages, gets to turn his sentence into community service hours at the Conservatory. While there, Mathieu benefits from regular lessons and finds love with a student. His talent as a pianist is so incredible that Pierre, despite opposition from all sides, chooses Mathieu to represent the Conservatory at a major international competition.